A judge who recently dealt with a case concerning riots has been shot dead in central Ukraine by unknown assailants, according to the Interior Ministry. The police presume his murder is connected with his judicial work. The 34-year-old district court judge, Aleksandr Lobodenko, died in hospital overnight Wednesday from multiple gunshot wounds. According to preliminary information, two assailants fired two gunshots at the judge near his house, and he suffered one injury to his spine, the Interior ministry said in a statement. Police have opened a criminal investigation, looking into various possible motives behind the killing, including a connection with Lobodenko’s judicial work. In its statement, the Interior Ministry said that in January Lobodenko had sentenced two protesters to two months of house arrest, the Ukrainian newspaper Telegraf reported. However, there is no apparent connection between the cases. The men put under house arrest had tried to seize the City Hall in the central Ukrainian town of Kremenchug during mass anti-government protests that have gripped the whole country since November. In the wake of Lobodenko’s shooting, Ukrainian President Viktor Yanukovych called on the government to toughen the laws concerning the security of judges and their families, according to a statement posted on the president’s website. Experts cited by RIA Novosti news agency said they thought the killing could aggravate the political situation in the country, if it is confirmed that the attack was related to the case of the sentenced protesters. 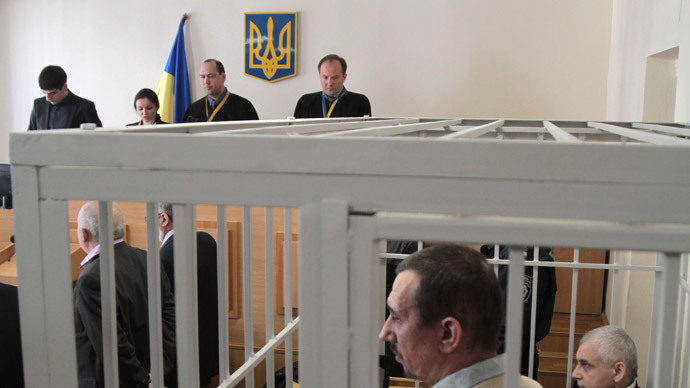 “It could have been a purely criminal act,” said the head of the Political Situation Center, Sergey Miheev. He added that it is necessary to determine whether the killing is linked with the protesters’ sentencing. "Regardless of the assailants, of course, the murder greatly destabilizes the situation in Ukraine," said Andrey Suzdaltsov, Deputy Dean of the Faculty of World Economy and International Affairs at Moscow’s Higher School of Economics. Suzdaltsov is also a member of the Russian Council on International Affairs. 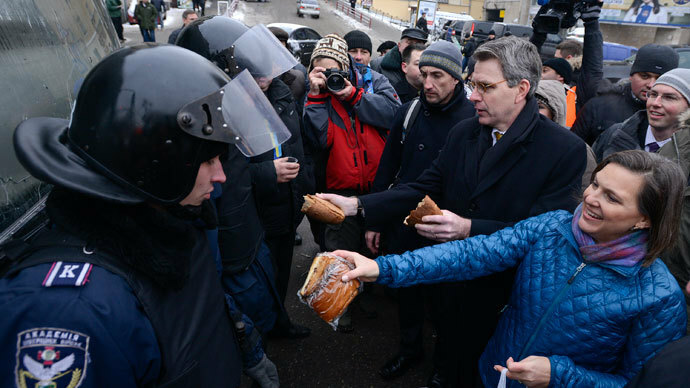 The opposition protests started in November after Ukrainian President Viktor Yanukovich refused to sign a trade treaty with the EU, and instead in December turned to Russia for monetary aid. 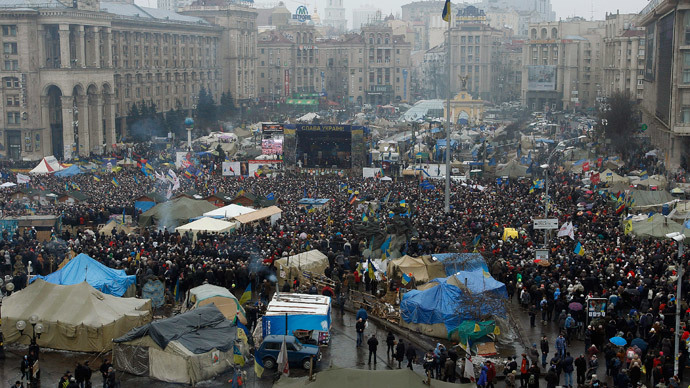 The demonstrations have since developed into ongoing pro-EU integration riots, with protesters seizing government buildings and demanding that Yanukovich step down. Under pressure from the Ukrainian opposition parties, the government of Prime Minister Nikolay Azarov was forced to resign. The president signed a bill declaring amnesty for protesters and canceling unpopular anti-demonstration laws on January 31.